Persons wishing to attend should notify STAGBI by 16th November 2018. Nominations for Directors should be submitted to STAGBI in writing by 16th November 2018. The 29th Official Sale of Standardbreds attracted the largest bench of prospective buyers for what was the biggest catalogue of Standardbreds offered by Brightwells for many a year. Click here for full sales report or click here for full results and prices. 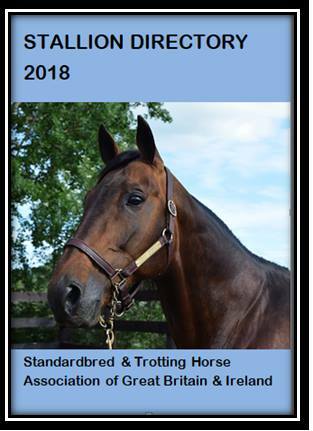 The 2018 catalogue contains over 100 registered Standardbred horses including broodmares, yearlings, two year olds and horses in and out of training. During the past few months DEFRA have introduced new regulations relating to their Equine ID Regulations 2018, please take note as they will affect you. 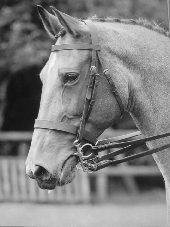 DEFRA now requires that the owner of an equine born in the EU and located on a holding in England must ensure that an application for an ID for that equine is received by an issuing body on or before 30th November in the year in which the equine is or the last day of the period of 6 months beginning with the day on which the equine was born, whichever is later. In order to comply with DEFRA regulations STAGBI will require that: ALL APPLICATIONS for FOALS born in 2018 are received in the STAGBI office by 31ST OCTOBER 2018. Please make sure you have sent your foaling return to STAGBI so that Registration Pack (Application Forms, Microchip & DNA sample bag) can be sent to you. Please click here to read important update about STAGBI broodmare races in 2018. Payment can be made by BACS or Credit Card. STAGBI has now embarked on an Integrity programme focusing on a zero tolerance to Anabolic Steroids and/or Growth Hormones. Samples were obtained from a number of yearlings at the Brightwells Standardbred Sales, all samples were submitted for analysis and STAGBI can report that all results were satisfactory, with no prohibited substances detected. STAGBI will continue to develop its Integrity Programme with the continued aim of ensuring the integrity of the Standardbred breed and stud book. A joint STAGBI & BHRC Awards evening will be held on Sat 3rd February 2018 at the Mercure Haydock Hotel, Haydock. The evening is an opportunity to celebrate success and achievement on the British Standardbred Breeding and Racing Industry. Award winners will be announced in December. At the recent STAGBI AGM, Ms Sarah Thomas was duly appointed as President and John Towe was nominated at President Elect. Mr Bob Howard & Mr David Lawrie retired as Directors of STAGBI. STAGBI thanked both gentlemen for their contribution to STAGBI. Mr Lawrie has been made an Honorary Life Member of STAGBI as he was a founding member and has served as a Director of STAGBI throughout. STAGBI welcomed Mrs Sue Young and Mr David Lowther having been appointed to the Board of Directors. Please click here for 2017 results. An archive of recent member newsletters can be found here - http://www.standardbred.org/newsletters.php. Please see results page for York Standardbred Auction results. Nominations for Directors should be submitted to STAGBI in writing by 5th October 2017. Representatives from the BHRC and STAGBI have just returned from the 25th World Trotting Conference (WTC) held this year in Charlottetown, Prince Edward Island, Canada. Please Click here for full statement. Reminder that New Registrations and Application for Mating Certificates need to be received in the STAGBI Office before 31 Dec 2016. The Office will be closed from Friday 23rd Dec until Tueday 3rd Jan 2017. We would like to wish you all a Merry Christmas and Happy New Year. At the recent STAGBI AGM Ryan O’Neil continued his 2 year term as President. Mrs M Lloyd stood down as President Elect and Miss Sarah Thomas was duly elected as President Elect. STAGBI would also like to welcome to new Directors appointed at the AGM, Mrs Sandra Weigel from Pembrokeshire and Mr John Towe from Derbyshire. Brightwells Annual Standardbred Sale Monday 24th October at Builth Wells. Entries close Wed 14th Sept.
York Standardbred Sale Saturday 8th Ocotber at York Raceway. Following the IHRA's decision to move away from STAGBI and establish a new Irish Standardbred Stud Book in Ireland, STAGBI & IHRA have drawn up a working agreement to facilitate the process. As of Feb 1st 2016, new registrations from Ireland should be presented to the IHRA and will thereafter be registered in the Irish Standardbred Stud Book. The dams of new registrations will also need to be transferred out of the STAGBI Stud Book into Irish Standardbred Stud Book. Owners are required to apply for mares to be transferred. In order to assist the process, there will be no fee for mares transferred before 31 Oct 2016. Thereafter the transfer fee will be £50. Mating certificates issued for Stallions registered in STAGBI Stud Book or Irish Standardbred Stud Book will be honoured by either organisation. However, it is advocated that Irish owned stallions are transferred into Irish Standardbred Stud Book. There will be no fee for stallions transferred before 1 April 2016. Thereafter the transfer fee will be £50. Please note that stallion owners should apply to the Stud Book that holds the stallions registration for mating certificates. Horses in Ireland that currently hold a STAGBI passport will remain valid, and until a horse is transferred into the Irish Standardbred Stud Book, transfers of ownership will need to be processed via STAGBI. It is hoped that STAGBI and the IHRA via the new Irish Standardbred Stud Book can work together to maintain the integrity of the breeding of Standardbreds in Great Britain and Ireland. STAGBI, in conjunction with BHRC, will be hosting an Awards Dinner to celebrate both the STAGBI and BHRC awards winners for 2015. The event will be held on Saturday 27th February at Daresbury Park Hotel, Warrington, WA4 4BB (located just off Junction 9 of the M56). Starting at 7pm to be seated for the three course meal at 7.30pm, the evening will be hosted by respected commentator Darren Owen and the awards presentation will be followed by a disco (courtesy of Millstream Discos). Award winners will shortly receive letters regarding the event. Tickets via the BHRC office and the latest date for purchases is Thursday February 11th. Tickets cost £35 (or a table of 10 can be purchased for £320). If you have any queries, please contact the BHRC office or STAGBI office. Reminder that Registrations and Application for Mating Certificates need to be received in the STAGBI Office before 31 Dec 2015. The Office will be closed from Thursday 24th Dec until Monday 4th Jan.
AGM to take place Sunday 22 November 2015, at 11.30 am at Premier Inn, Manchester Airport. Stock, the Property of Members of STAGBI will be held on Monday 19 October 2015. For entries please see printable entry form. Online entry is also available with a £6 discount per lot. Please visit Brighwells sales page for more infomation. Congratulations to the winning connections of Live in Beauty who won the Scottish division of the STAGBI Future Broodmares' Race on Friday 5th June. Live In Beauty is a 10 year old daughter of Village Jasper out of Live In Lover (Todays Man), owned by R Miller, trained by Paul Cullen and driven by Grant Cullen. Having taken time out from racing in 2013 to produce a Doonbeg foal, Live In Beauty returned to racing in 2014 and won the STAGBI Future Broodmares' Race at Corbiewood. This victory saw her retain her title. STAGBI recognises that our racing mares are our future broodmares. To give these mares the opportunity to show their potential, STAGBI have once again agreed to continue their support to this prestigious series of Mares’ races. Please note STAGBI fees from 1 April 2015. click here to view. STAGBI office will be closed from Wed 24th December until Friday 2nd January. Please don’t forget to get your registrations and stallion returns in by 31st December. STAGBI wishes to inform you that there will be a temporary change of arrangements for STAGBI members in Ireland. You can contact the office via email 01597 822474 / Lee Price on: 07581 438805 or Gwenan Thomas on 01570 480636. If you have any registrations or transfers submitted to the IHRC for processing prior to this date and not yet returned to you, please check that these are or have been processed. STAGBI apologise for any inconvenience caused. i) Effectively foals born in 2014 need to be registered by 31st December 2014. Failure to comply within the specified time is a breach of EU regulation and STAGBI are required to notify such breaches to the relevant Competent Authority. Late registrations will also incur late fees. If you have any queries please contact STAGBI. Winners of the breeders premium are now available in the online database. Results for the York and Builth are now available. Click here for York results and here for Builth results. Persons wishing to attend should notify STAGBI by email info@standardbred.org or 01570 480636 at least 7 days prior to the day. The most recent STAGBI Future Broodmares’ race was held at Portmanock last weekend. Seven mares came to post in what was an international field, where the 4 Irish mares were joined by mares that had travelled over from Scotland, Ireland and Wales to participate in the race. Baby Rosa sat on Coalford Cabrini (Coalford Laag/Coalford Towner) from the half and was ready to pounce as Shades of Grey (Cambest/A Roan Again) came with a blistering 3 wide run. But when asked Baby Rosa put her head down and strode for home, having previously finished twice in the race, this time she secured her victory. Baby Rosa is a 5 year old mare, imported to the UK as a 2 year old. By Art Major and out of Mambo Hall, herself a 1.52 mare and the dam of Better Than you (1.50.1) and also recent UK import Mambo Western. Mambo Hall is out of the prolific dam Matts Sunshine. Matts Sunshine (dam of UK imports Best Sunshine and Mattador Hall) has produced 2 in 1.50 and 7 in 1.52. Not only can Baby Rosa boast superb breeding her wins include 3yo Little Welsh Dragoness, York 4yo Championship and the only filly to win The Senior Welsh Dragon. The next and final STAGBI Future Broodmares’ Race of the season will be held in York on Saturday 20th September. A Sale held under the auspices of The Standardbred & Trotting Horse Association of Great Britain & Ireland for Fully Registered Stock, the Property of Members of The Standardbred & Trotting Horse Association of Great Britain & Ireland. Entries made on line at brightwells are discounted by £6 per lot. Congratulations to the connections of Wellfield Shady Lady on winning the recent STAGBI Future Broodmare Race at Amman Valley. Wellfield Shadylady is a 5yo mare by Village Connection out of Naught Shadylady. Owned, trained and bred by Roy Sheedy from the Wellfield Stud, Penhow, Newport and driven to victory by Michael O'Mahony. This was Shadylady's 5th career win from 16 starts and set a new personal record of 2.00.3 when winning the race. Naughty Shadylady is the dam of Art Official p,3,1.47.0 $2,082,885: Hannah M (1.53.3); Shady Shark (1.56.2); Indecorum (1.56.4) and without forgetting Roy Sheedy's Wellfield Official (also by Village Connection) - who ran 2 gallant races to finish 2nd in both heat and final of the Famous Musselburgh Pace 2014. Congratulations to the connections of Live in Beauty who won the Scotish Leg of the STAGBI Future Broodmare Race in Corbiewood last Thursday. Live in Beauty, a 9yo mare by Village Jasper x Live in Lover, recorded a personal best time 2.4.1 and now boasts 10 wins from 28 starts. Not only did she overcome gate position 8, but was also unraced in 2012 & 2013 ... during which time she was Artificially Inseminated and had a colt foal by Doonbeg last year. Congratulations! On May 1st, Brian Peachey will be retiring from his position as company secretary/administrator for STAGBI. He will be succeeded by Gwenan Thomas, who many will know through her work with A.I. (Talgrwn Stud Services). Also, Sarah Thomas will be leaving STAGBI as general secretary on the same date. She is being replaced by Lee Price, who is also the current Wales & the West vice chairman. Contact details for Lee will remain the same - 01597 822474 (office) / 07581 438805 (mobile). Brian will remain as a director and Sarah will be joining the board of directors. The STAGBI Office is now operating on the new system & hardware, anyone wishing to do any process i.e transfer, registration etc, must ensure that their membership is current, non members will need to enclose their membership fee. Application forms can be found under membership. Late Mating Certificates increase to £50 each. Note no increase in certificates requested in year of covering (£10 each). STAGBI recognises that our racing mares are our future broodmares. To give these mares the opportunity to show their potential, STAGBI have once again agreed to continue their support to this prestigious series of Mares’ races. STAGBI will hold its AGM on Sunday 1st December 2013 at 12-30 pm at the Premier Hotel, Manchester Airport. Approaching 100 entries for the Builth Wells Sale. Click here for more details on location and other relevant information. Note the Supplementary Entries to the Sales Catalogue. Please note: That due to a corrupted file the Irish data of horses registered this year, contained in the most recent newsletter (Issue 57 May - August 2013) is largely incorrect. Unfortunately this error was not picked up before the newsletter went to print, however as the data received from Ireland has been saved in its correct form, it will be reprinted in the next newsletter (Issue 58 September - December). The correct information relating to the horses concerned can be found on the online database. STAGBI offers subscription acess to an online database of registations, stallion breedings, hypothetical pedigree matches etc. Please follow the link for further information..
Congratulations to the connections of Strike a Light who won the WBCRA STAGBI Mares races at Amman Valley on Saturday 29 June. She repeats her win in this race in both 2011 and 2012. Mathew Herlihy drove the mare (2006 by Cams Security oo Ivaplan by Direct Current) to victory in the 6 runner race. The odds on favourite stopped the clock in 2 minutes 2.3 seconds. Miss Jackpot (2008 by Playwithafulldeck oo Jacks Delight by Master Scoot) finished runner up with Faraway (2006 by Nianimble oo Saunders Farah by Taurus Hanover) in 3rd. Congratulations again to winning connections and also connections of all other mares in the race. The results for the breeders premium 2012 have been added to the breeders premium results. Following the advice of DEFRA and the requirement of the Data Protection act and DEFRA being the controlling body of such data STAGBI cannot release personal data to sports controlling bodies in the relationship of horse ownership. In order to meet the requirments individuals must provide certificate of ownership as proof to any governing sport body i.e BHRC, IHRC etc themselves. Races will be run in Scotland, Wales and England for BHRC, in Ireland for IHRC and in Wales for WBCRA. Please click here for further details including dates, condition and track contact details. Please note STAGBI have moved premises, please make a note of the new address: STAGBI, 3 Park Crescent, Llandrindod Wells, Powys, LD1 6AB. For enquiries relating to applications or work in progress, please contact Sarah between 5pm and 7.30pm on 07581 438805. For general help or advice contact Brian Peachey on 07983 732083. Or email stagbi@btinternet.com. Persons wishing to attend should notify STAGBI by telephone to 01597-850033 or 01497-851609 at least 7 days prior to the day. The following fees apply from the 1 April 2012. Download file. STAGBI recognises that our racing mares are our future broodmares. To give these mares the opportunity to show their potential STAGBI have once again agreed to sponsor a series of Mares’ races. Note: Due to changes in our office setup you may find no one is available to answer the land line. In these cases persons requiring help advice or information should call the mobile number 07983 732 083. We are please to announce the STAGBI Breeders Premium 2011 (subject to confirmation at March Directors meeting) winners. Please visit the Breeder Premium Winners page for the run down. Congratulations to all associated with these horses and especially the breeders. The above two horses have been registered by the sire Pierce Seelster. Both horses have failed DNA tests with the sire being incorrect. The breeder has been asked to return the horses passports but has so far failed to do so. We have been made aware that these horses may have been offered for sale, we would like to make any potential purchasers aware of the above. Please contact us on 01597 850 033 if you have any queries. Please note: the STAGBI office will be closed from the 2nd Aug to the 11th Aug.
STAGBI is pleased to announce a total premium of £6,000 for the 2010 will be paid back to STAGBI breeders. Please click here for a list of winners for 2010 or click here for more information on the breeders premium. Due to the adverse weather conditions in December and the resulting lack of post getting to our members and the office the registration period for 2010 will be extended until the end of January 2011 without penalty. Wwe hope this concession will assist all our members in these trying times. STAGBI will hold its AGM on Sunday 28th November 2010 at 1-30 pm at the Premier Hotel, Manchester Airport. STAGBI are please to announce that the 2009 breeders premium has been increased by £2,000 to a total of £6,000. Please click here to view the 2009 results. A reminder that from 2009 registration of Standardbred horses by STAGBI MUST be applied for by 31 December of their year of birth. AFTER 31 DECEMBER 2009 LATE REGISTRATIONS WILL ONLY BE ACCEPTED FOLLOWING A DIRECTORS MEETING. AN ADMIN FEE OF £100 WILL BE APPLICABLE IN ALL CASES AND ACCEPTANCE IS NOT GUARANTEED. A further reminder that in order to be registered you must follow the registration procedure. Please note that stallions MUST have a Stallion Certificate from STAGBI in order for their progeny to be registered as Standardbred horses by STAGBI. A list of stallions with certificates can be found here - stallion list. If a stallion is not on this list then it any progeny WILL NOT be able to be registered as a Standardbred with STAGBI. If in doubt please contact us for confirmation. IRT are offering great rates on horse frieght from the fall of the hammer in Harrisburg to Glasgow Prestwick airport. Please contact Matt Haug @ IRT for further details and a quote. Please mention STAGBI to claim your special rate. The annual York standardbred sales was held at on 26 September. The sale attracted significant interest from buyers with a top sold price of £6,000 for Camden Massino a yearling consigned by the Camden Stud by Art Major out of Sheeza Sakra. Full results from the York sales are available. Please click here for results. STAGBI are pleased to announce that the STAGBI Stud Book Volume two (foals born 2005-2008) is now available for sale. The book is priced at £15 + £1.50 p&p in United Kingdom and £15 + £3 p&p in Eire. Books are availble to order online (via credit / debit card payment) on the stud book page. Alternatively Maureen Lloyd will be selling the books at Almeley on Saturday (W&BC) and Sunday (BHRC) should anyone want to avoid postage costs. Brynfawr Stables reduction sale - 3 October. Click here for catalogue (pdf file). Please remember that ONLY progeny of stallions registered for stud with STAGBI (as listed on link above) can be registered. If in doubt please contact us and check. The new breeding site has now been launched. The site includes new features such as pedigree matching, descendant search and stallion mating and registration statistics. Annual subsciption is £10 for non-member or £10 for two years for current, fully paid up STAGBI members. By the time you foal arrives you should have received your mating certificate and foaling return from the Stud or Stallion owner, within 28 days of birth tear off the Foaling Return. Complete the information about the foal on the foaling return and send it to STAGBI at the address shown on the reverse with the fee of £10. The stallion list has recently been updated to include the most recent stallions registered for duties, please note only horses from these stallions (following the correct procedure) will be accepted for registration. STAGBI increase the Breeders premium to a total of £4,000 for 2008. Each category will have premiums of £500 and £300 for the top horses based on performance in 2008. The premiums will be paid to the registered breeders of each horse. To view the updated winners click here. Please note this is an updated list of winners, some of the breeders of the winning horses anounced in the provisional list are not current members of STAGBI therefore do no meet the conditions of the breeders premium. The breeders premium is to encourage the breeding of standardbreds in the UK therefore awards are only made to those who are current members of STAGBI. The newly agreed regulations surrounding AI and Embryo Transfers are now available. Please select the relvent link on the menu. From 2009 registration of Standardbred horses by STAGBI MUST be applied for by 31 December of their year of birth. The STAGBI online breeding database is now open for a limited free trial period. All users will need to register for access, this account will then need to be manually activated which make take some time - please be patient. Once the free trial period is up all users will have to pay a subscription to continue access. Discounts will be available to CURRENT STAGBI members. Persons wishing to attend should notify STAGBI by telephone on 01597-850033 or 01497-851609 at least three days prior to the day. The AGM will be followed by an Ordinary General Meeting, at 2.00pm at which other business may be discussed. Items must be listed before the start of the AGM. There will be a Directors meeting preceding the AGM & General Meeting at the above venue at 10.00 am. The annual Brightwells pacers and trotters sale was held at Builth Wells on 20 October. The sale attracted significant interest from buyers with a top price of some £24,000 for Rhyds Fivestar a yearling by Hasty Hall out of Tonda Star. A further sale also took place at York - the first annual sale was held on 27 September. A top price of £4,400 was bid for Allamerican Amazon a mare by Falcon Seelster out of Amused Hanover. We hope to have the results from the recent Carlisle sale available soon. Welcome to our new website - we hope to add further information over the coming weeks. Should you need to contact us for any reason please see the contact page for details.